This post is from our guest, Tim Semic, Support Manager of Color Label Solutions. Tim's work found a solution to a difficult and potentially very important problem; label printing over a WAN. Read about Tim's work to understand the problem and find a solution. Hello, my name is Tim Semic. As a technical support specialist for Color Label Solutions, I help customers with printing color labels on-demand; primarily configuring printers and training users. I would like to share with you an experience that you may find helpful if you ever wanted to install a Epson C3500 on a network. Recently, I had two customers experience the same mysterious issue with their Epson TM-C3500 Label Printers. Specifically, they were unable to print to their C3500 printers that were located across their WAN networks. By using that printing problem as an example, I'll give you a birds-eye view of how support technicians like myself troubleshoot and solve a customer’s problem. Troubleshooting is a process. First, a technician needs to be able to accurately describe the problem to him or herself, so that he or she can understand exactly what is occurring. In this case I had two printers that would not print across the network. While consulting with our customers, I learned that they could successfully print within in the same building as their printer. However, they were unable to successfully print to the same printer from their remote sites. 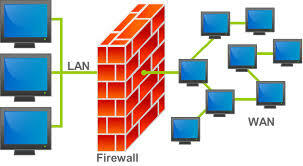 When computers and printers are on a network at the same location, we refer to it as a LAN or Local Area Network. I found that the common denominator at both companies was that the print failure occurred when printing to printers that were located outside of their LAN. Both of these companies had set up a type of network referred to as a WAN, which is an acronym for "Wide Area Network". 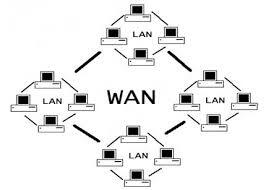 A WAN is a network that connects LANs at different geographical locations together. The failure occurred when they tried to print from one to another LAN across their WAN. 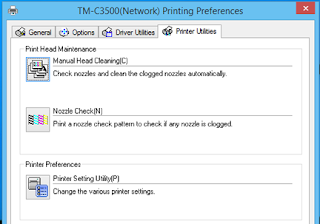 Problem Identification: The Epson TM-C3500 label printer would not print across a WAN; resulting in a non-specified error. If a company's network security was set to block certain traffic across the WAN, these settings could have led to this issue. But they were not blocking any traffic. To restate the problem: They could print to printers that were on their LAN, but not across their WAN. Once a problem has been identified, a technician will then take steps in a logical order to determine a solution. The correct order of steps to take may not always include jumping straight ahead to what we think might be the solution to the problem. · Is there a potential to cause down-time for the customer? · What is the potential for something to go wrong? 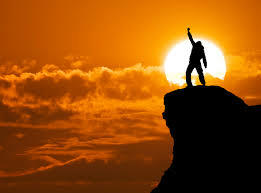 · Back out plan - Is there a way of undoing the planned action? · When would be the best time to schedule the repair? Also to be considered: if I fix the problem, will I have a comprehensive understanding of the cause? By not fully understand the cause, I may make things even worse things by deploying a change. It would be like bringing your car into the shop to have a flat tire repaired, and the mechanic simply filled your tire with air without patching the leak. We also attempt to look beyond our first planned action. Often however, what we discover after making that first change will determine the next step we take. With the networking issue, I wanted to better understand the problem by using some benign testing methods that would not create any changes to the existing computer environment. The more I could do to better understand the problem, the better! Action 1: I used a terminal program to send a ping to the printer. Sending a ping is like using sonar on a submarine to see if another sub is in the area. You can send a ping to any network device as long as you know that device's IP address. An IP address is like a phone number, and every device on your network has it's own unique IP address, similar to every mobile phone having a unique phone number. Sending a ping to a device's IP address allows you to see if that device can respond back to you across a network. From that ping test I learned that the printer was able to return the ping from across the WAN. So the ping test was successful. The C3500 hosts a web page that can be used to change some of it’s settings. I wanted to see if I could access the printer's web interface across their WAN, and I could. So the problem appears to be that the printer simply cannot accept print jobs across a WAN. Action 2: I reconfirmed that both companies were not blocking any network traffic across their WAN networks. If their firewalls were set to block selected traffic across their WANs, the printers may not have been able to receive any print jobs. 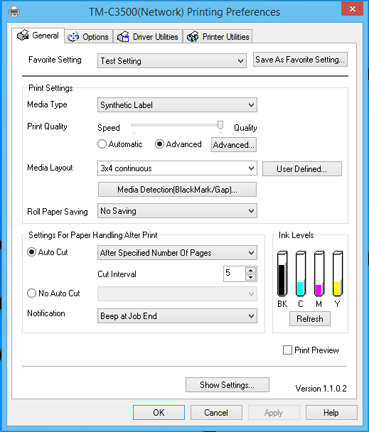 Action 3: I decided to examine the printer driver, which enables you to send jobs to a printer. I found the driver was an older version than what was currently available. As I am accustomed to frequently updating the C3500 printer driver for my customers, I determined that updating the driver to the current version would be safe. Updating the printer driver presents a low threat level. Newer versions of software may contain bug fixes as well as new features, so I was hoping that the newer version of the Epson printer driver had a fix for the WAN issue rolled into it. After updating the printer driver, we still couldn't print across their WAN. It was disappointing that the driver update didn't fix the problem. Back to the drawing board! Action 4: I decided to reinstall the printer driver from the Epson Install Navi utility. The Epson Install Navi utility provides a better installation platform for supporting network connected printers. Since the issue was related to a network problem, installing the printer driver from the Epson Install Navi utility seemed a good way to proceed. However, the Navi utility was unable to find the printer during the printer-search function. Now hey, that's interesting! The Navi utility could not see the printer! So now I determined that 1. jobs sent from the printer driver do not find the printer, and 2. That the Epson Navi utility, which is designed to install printer drivers for network printing applications, will not see an Epson C3500 printer across a WAN. This new information was a good clue, and lead me away from suspecting that there was something wrong with the printer driver. It redirected my focus onto the software that's resident on the printer itself. That software is referred to as firmware. Firmware is software that is typically stored in the flash ROM memory of a device. Devices such as scanners, set-top units, game stations, and you guessed it- printers, all generally have firmware installed on them, and firmware can be updated! 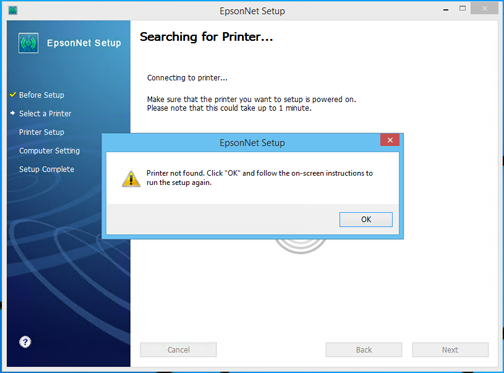 I located the firmware version that was currently installed on both printers by accessing the Epson "Printer Setting Utility". The firmware version on their printers was not current! I knew that a firmware update was available for the Epson C3500 and I had that installer. However, there is a risk when updating firmware on a device. The risk is, if something interrupts the flow of the firmware updating process, say like a power failure, or the computer you are pushing the firmware update to freezes during the process, it may ruin the device!!! We techs say, "it will brick the device", because it turns the device from being something useful, into a big paper weight. So a firmware update had the potential to not just fix the printer, but also to kill it. So rather than move forward to update the firmware, I decided next to contact Epson Advance Tech support to see if they were aware of the problem and could recommend an appropriate fix. Action 5: I contacted Epson tech support. Epson tech support was unaware of any WAN issues with the C3500, could not recommend a solution. To clarify, I'm sure that someone at Epson knew about this issue, just not the techs who were answering the phone. So basically no help there, but still an appropriate step in the troubleshooting process. 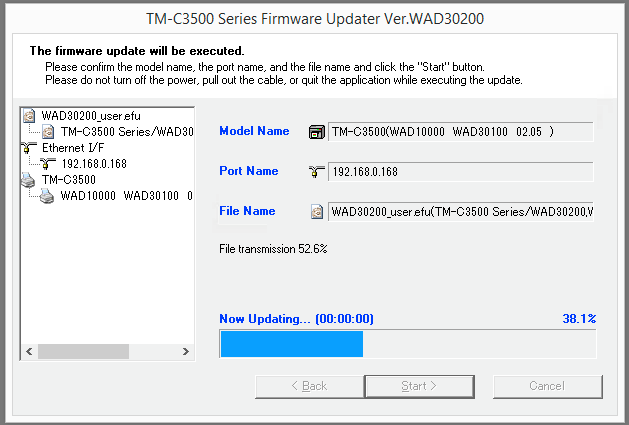 Action 6: I updated the printer’s firmware; to version WAD30200. Considering the printer had issues across a WAN, I decided to deploy the firmware update from the printer side of a WAN rather than across a WAN. The result: The firmware update solved the routing issue. Now the printer will receive print instructions across a WAN. The Diagnosis: The factory installed firmware did not include the necessary support for printing over a WAN. Essentially with the older firmware, a C3500 will be unable to route a print job across a WAN, resulting in a non-specified error. 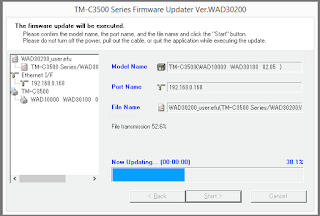 That network software flaw in the original firmware was corrected in firmware version WAD30200. To summarize: Updating the printer firmware may solve the issue of an Epson TM-C3500 failing to print over a wide area network (WAN). Hopefully you have gained some additional insight into the process of troubleshooting a computer environment that you will find to be useful. 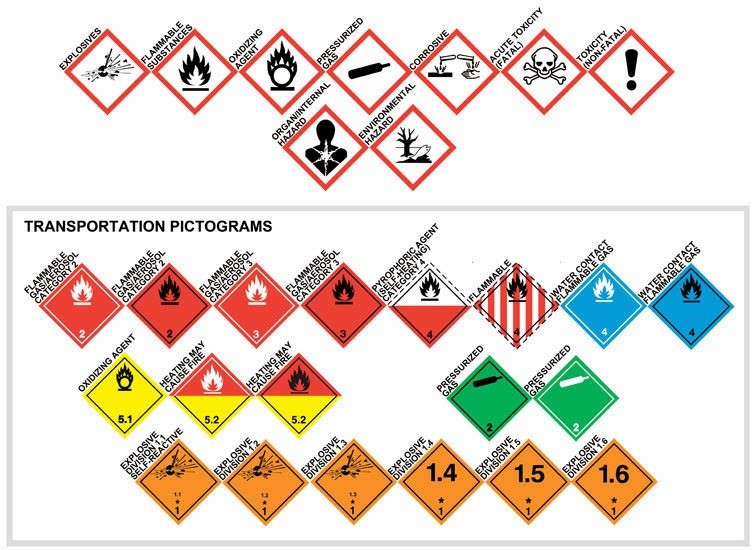 And be sure to contact Color Label Solutions for help with your color label printing.